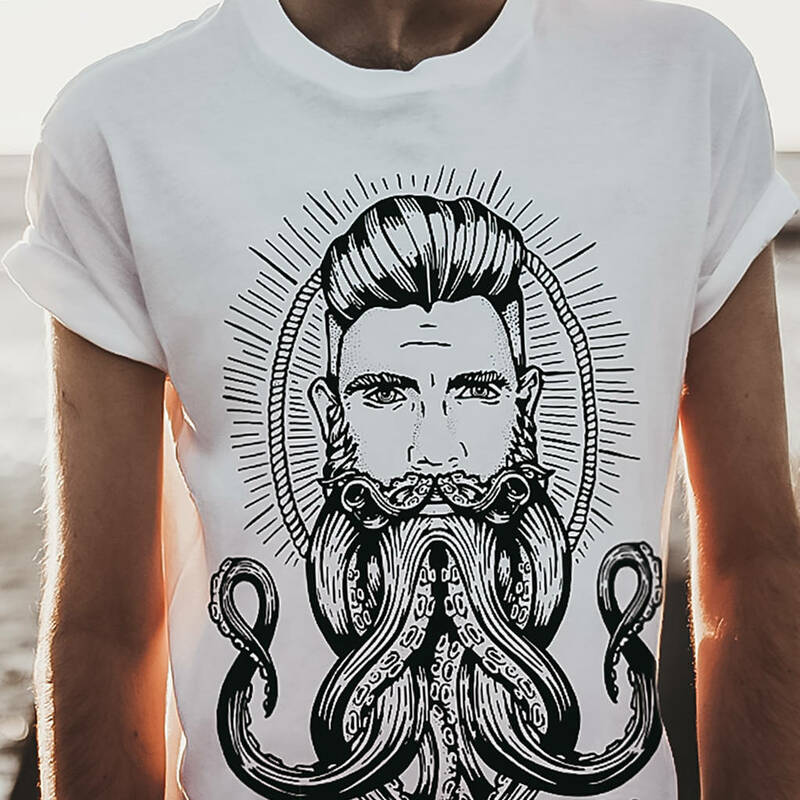 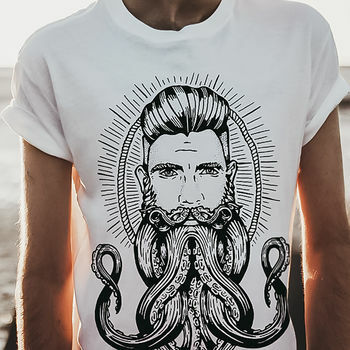 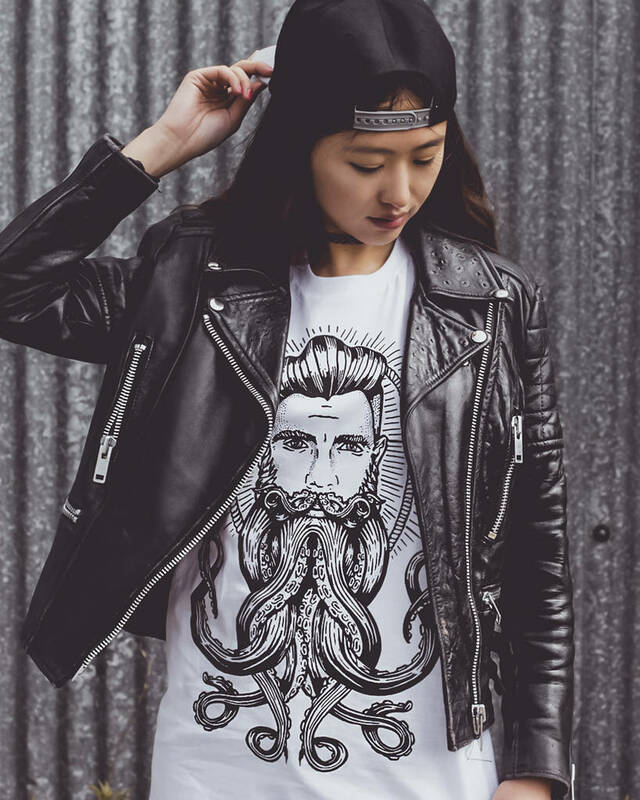 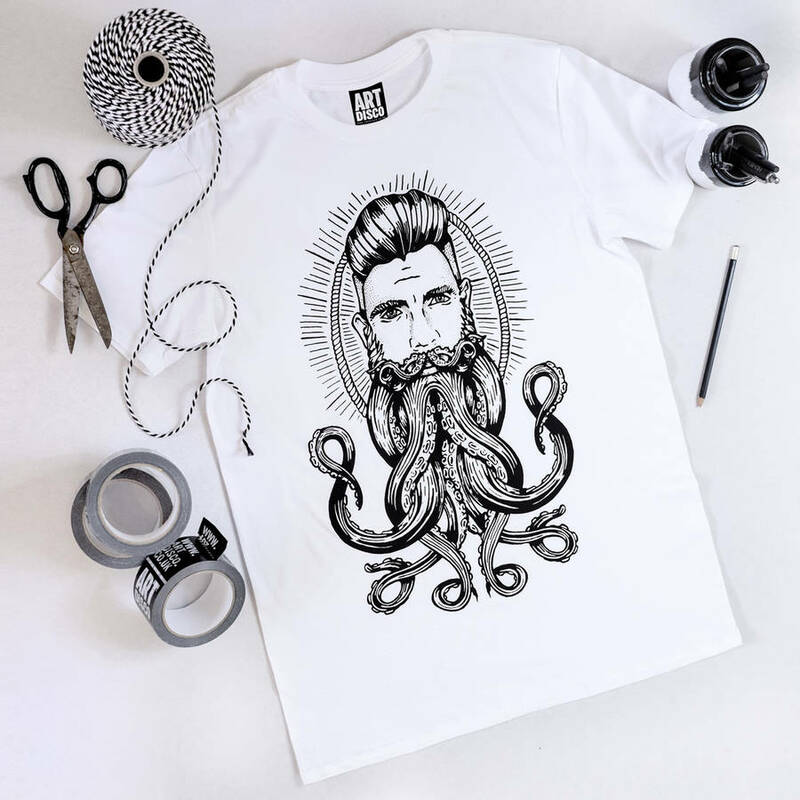 Become the King of the waves in this illustrated t-shirt featuring an epic octopus entwined beard. 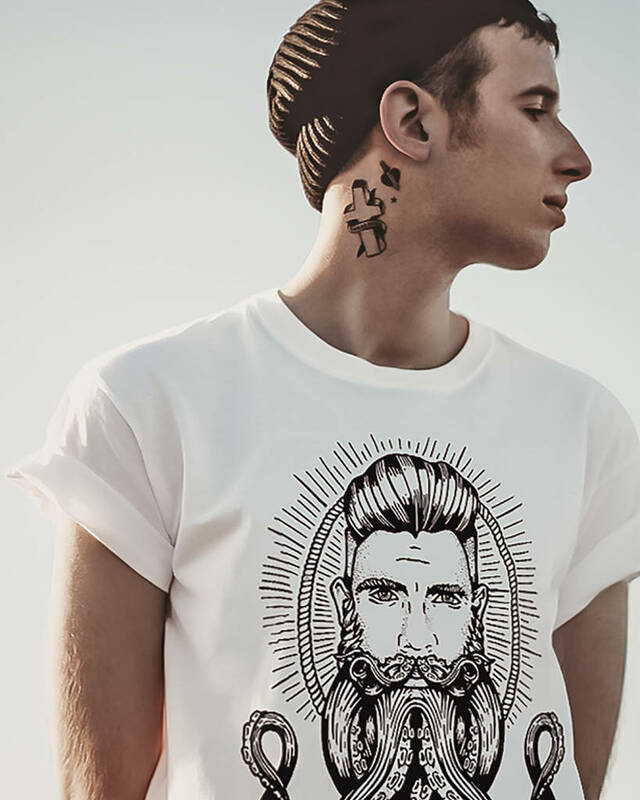 Free UK shipping on orders over £20. 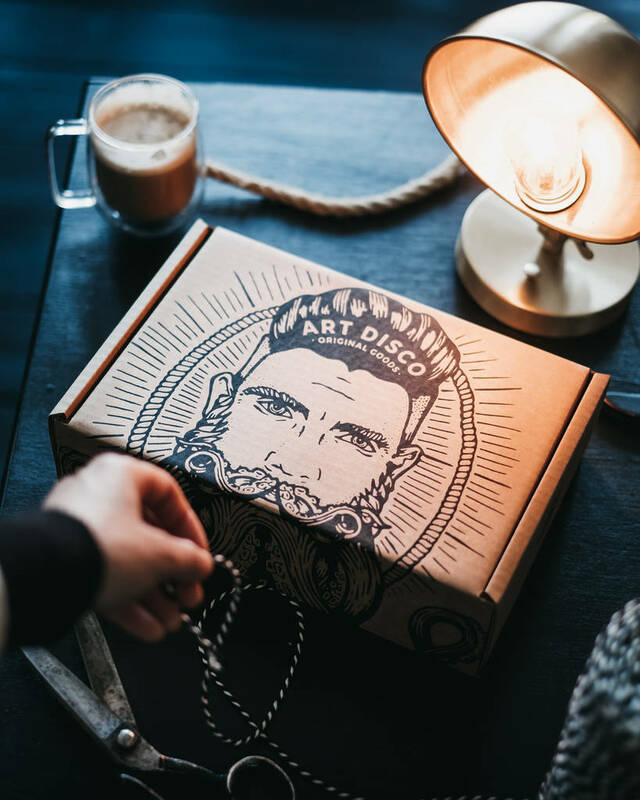 All our orders are shipped by Royal Mail Tracked delivery which means we can provide a tracking reference upon dispatch.